On the playground at the preschool where I teach, there are hundreds of acorns at this time of year! The preschoolers collect them, use them as play food in the play houses, count them, and fill their pockets with their treasured acorns. I’m sure quite a few moms have found acorns clinking around the washing machine too! We always bring handfuls of acorns into our classroom to use in math centers, build letters, and use in our classroom scale when comparing weights. 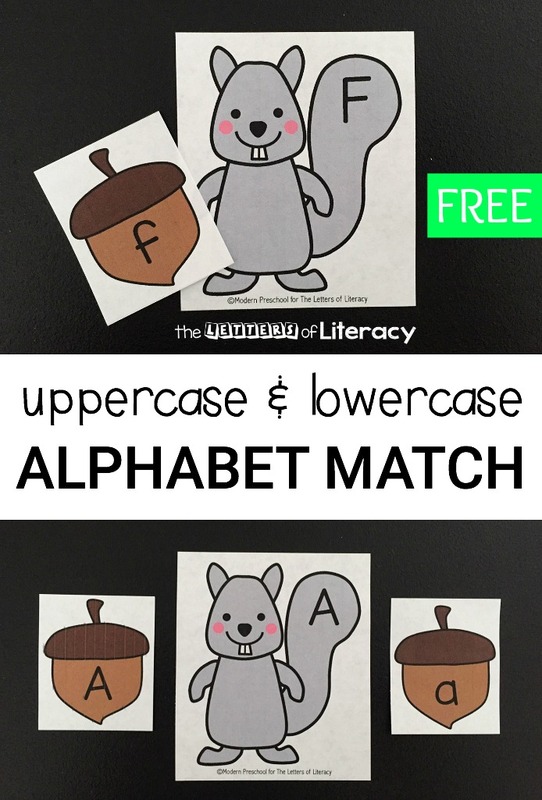 With how much fun we all seem to have with acorns, I thought a Squirrel & Acorn Alphabet Match game would be a perfect way to also practice uppercase and lowercase letter identification! *Grab our Fall Math and Literacy Centers for even more learning fun! 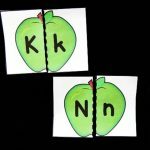 My favorite thing about this alphabet matching printable activity is that it can grow with your group of learners! 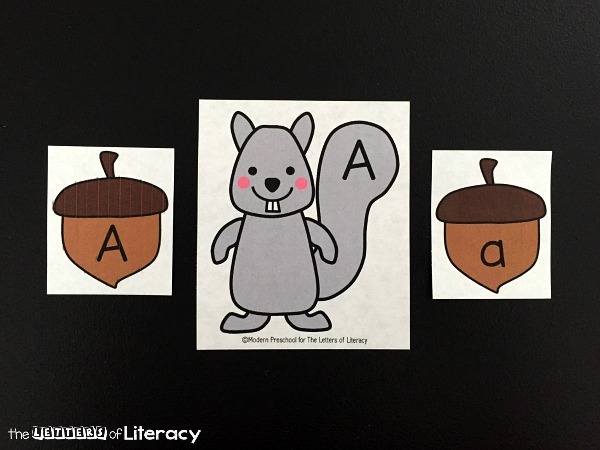 The set includes both uppercase and lowercase acorns to match to the uppercase letters printed on each squirrel’s tails. There are a total of 52 acorns and 26 squirrels. 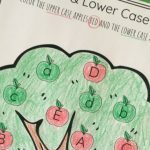 This letter matching activity is easy to set up! To save ink, print only the set of acorns that you will use along with the set of squirrels. 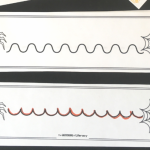 Cut out both sets along the gray lines, and you’re ready to play and learn! 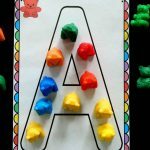 In a classroom setting, using this alphabet matching activity in a small group is a great idea. To set the group up for success and eliminate unneeded frustration, begin with just a handful of squirrels and matching acorns. Flip the acorns upside-down and spread out the squirrels face up. 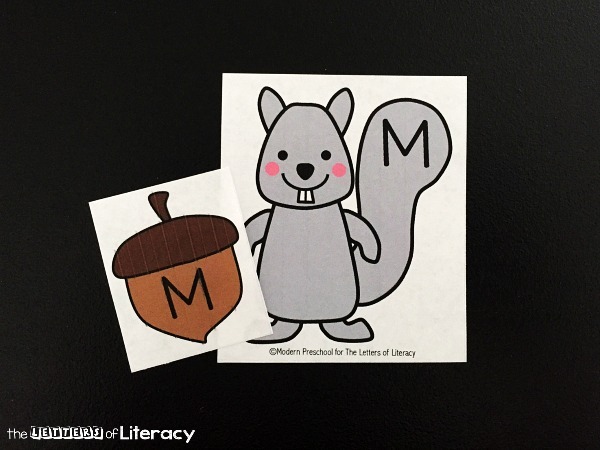 Sitting together, have the children name the letter on each squirrel while practicing the letter sound. 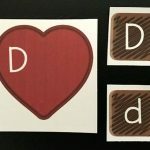 Chat about words that begin with the letter and sound. One by one, flip over an acorn. 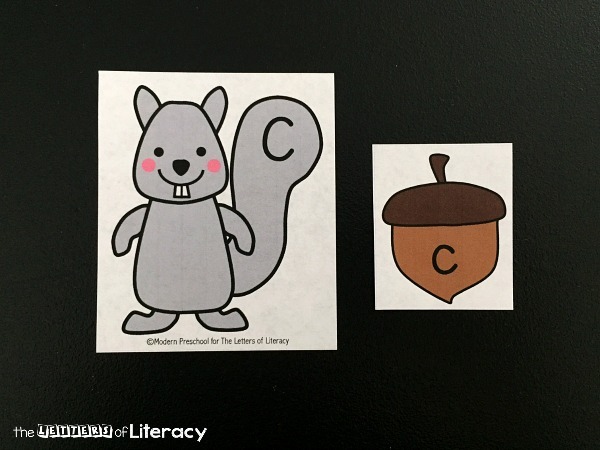 Invite the students to name the letter and find the matching squirrel. When the coordinating squirrel is found, “feed” the acorn to the squirrel! 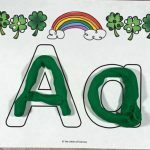 After getting more and more comfortable with matching the correct letters together, I like to use activities like these as independent learning centers. 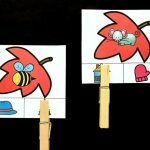 A fun way to encourage participation is with magnets! You can find inexpensive cookie sheets at the dollar store, or online. Use tape to attach a few squirrels to the cookie sheet. Add thin magnetic strips to the back of the acorns. Now when the acorns are matched to the squirrels they will stay put on the cookie sheet! To add a super fun element to this center, attach the cookie sheets to the wall with painters tape or Scotch velcro strips! 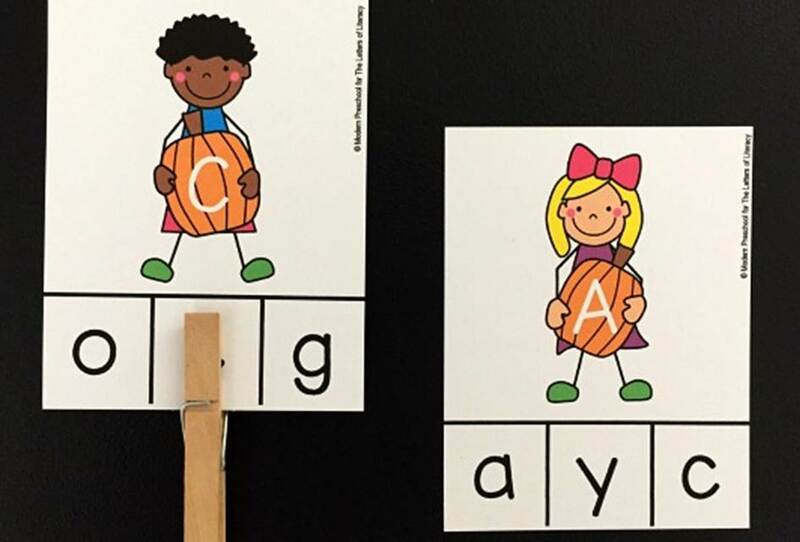 Practicing alphabet identification can be lots of fun! Grab the alphabet match and practice matching uppercase and lowercase letters by clicking the blue button below. 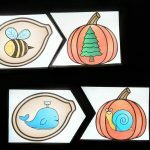 Then, hop over and grab our pumpkin friends letter matching clip cards!